There was a time when the only way to fuel fireplaces, stoves or other hearth products was with wood, gas or coal. Now consumers have a wide variety of fuels to choose from, many of which are environmentally friendly, clean, and easy to use. are easy to install and use, so they are expected to continue to sell well in the marketplace. The WMFE4 Ethanol Fireplace with the Brushed Stainless Steel surround from Napoleon is one of the most popular ethanol fireplaces on the market. 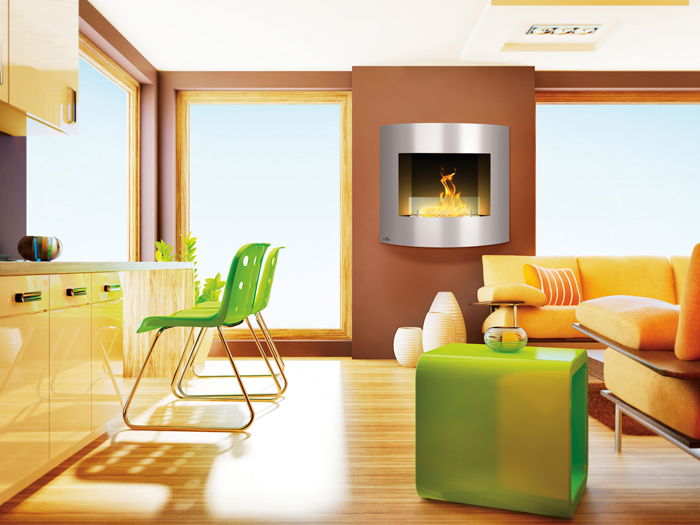 Clean burning, vent free and versatile, the WMFE4 allows for easy installation in any setting. Built-in linear burners provide a luxurious flame pattern and produce a warm, radiating heath with plenty of elegance. 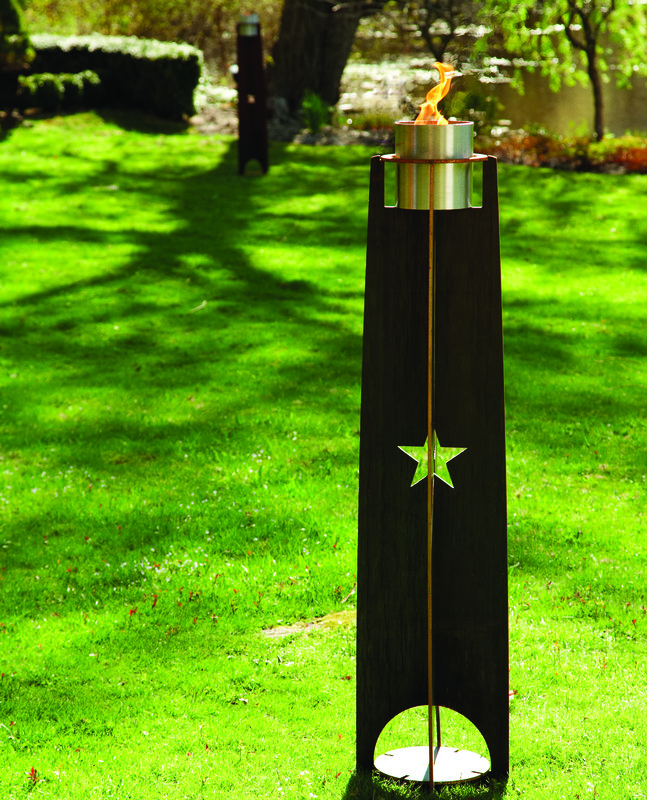 Wittus’ Star and Mini Star Gelfire Pillars are impressive garden sculptures by day and dramatic lighting by night. Using gel fuel, they burn with clean lofty flames for 2-3 hours per filling. Made in the USA of heavy gauge cor-ten steel and topped with brushed stainless steel fuel wells, these eye-catching pillars transform backyards and garden areas into welcoming outdoor living spaces.